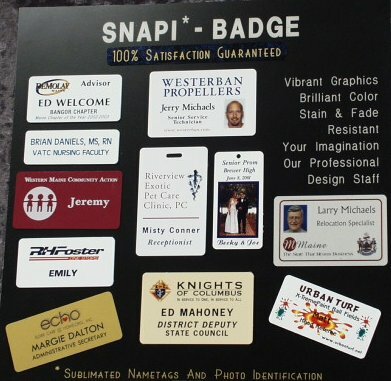 A whole new concept in personal identification, our SNAPI product offers full-color logos and photographs. 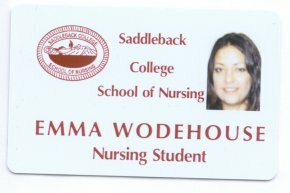 Even those who've long resisted wearing a namebadge embrace this bright, good-looking and very highly professional identification tool. Durable? This product can be used as a keytag, kept in a pocket or purse rubbing constantly against keys and coins, and yet still retain its freshness. It resists scratching and stains from food, grease or anything that might ruin a 'standard' nametag. Stains and spills are easily removed with a damp cloth. 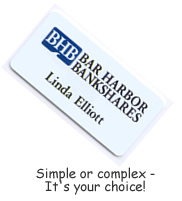 This product also offers a chance to have FAR more information on a nametag than in the past. 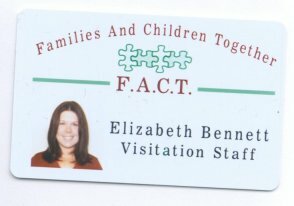 Logos and graphic design, borders, font choices, PMS color matching, and more are all available with this GREAT nametag. You can have a vibrant full-color tag, complete with your company or group logo along with an address, individual title, and even a photo for just a few pennies more than the 'standard' 1x3 engraved tag. They're worn vertically or horizontally, using pins, magnets, alligator/bulldog clips, lanyards or other types of fasteners. 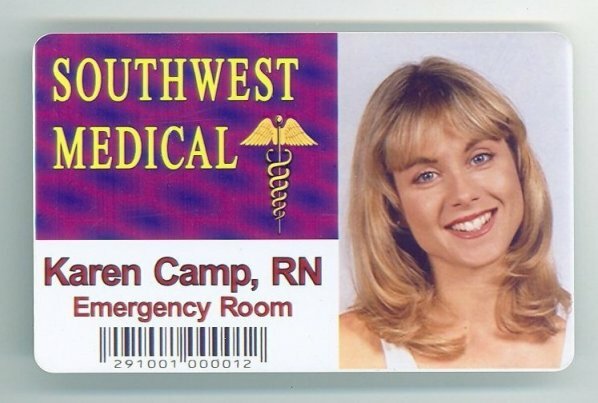 Before you order your next nametag, talk to us about this truly remarkable product! Snapi* cards accept any color logo or photo although (obviously) some work better than others. Light colors are best for logos and photos while monocolor, black logos and text-only badges are fine on any color which will provide a background contrast. 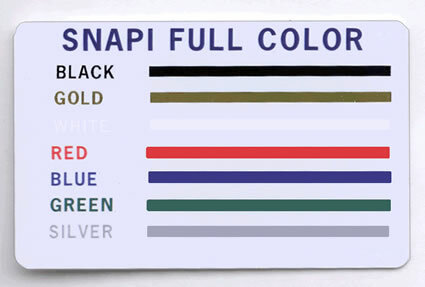 Our standard stock on hand includes all of these colors in a standard size of 2 1/4" x 3 3/8" - .30mm thickness (about the size/weight of a credit card). We also stock both white and gold in a smaller standard size of 1 1/2" x 3" with a .60mm thickness . Other colors are also available. These nametags can be cut to a specific size of your specification for an small additional per card charge. You decide the font! Nearly any true-type or engraver's font is available for no additional charge and we can generally match your logo's typeface if desired. Want to have printing PMS matched to your company color standards? We can do that for a nominal additional charge. Talk to us TODAY about this excellent and exciting product that will make YOUR tags really stand out!